According to a new EquiTrend survey, Taco Bell is the favorite “Mexican restaurant” among Americans, ahead of Chipotle and Moe’s Southwest Grill. In this way, the fast food chain wins the “Brand of the Year” award for the first time in the history of this prestigious survey launched by Harris 30 years ago, which measures the overall health of a given brand through questions asked of more than 77,000 US consumers, based on three parameters: familiarity, quality and future consideration. The 2018 survey was conducted during the month of February among people over the age of 15, and through online interviews in English. In the 2018 ranking, the Taco Bell Mexican restaurants were ahead of Chipotle and Moe’s Southwest Grill. The latter was chosen by the same survey as “Brand of the Year” in 2016 and also in 2017. In previous years, Chipotle was at the top of the ranking of Mexican restaurant brands. However, this leadership ended due to several foodborne disease outbreaks, which resulted in a perception of negative brand sentiment and a 10.7 point drop in 2016. After that, Taco Bell gained quite a few positions through innovative product offerings, and also began serving breakfast and new creations, such as the Naked Egg Taco and the Mexican Crispy Chicken Pizza. The company also decided to launch a limited edition of ‘Nacho Fries’ in early 2018, making it the most successful product launch in the history of Taco Bell. 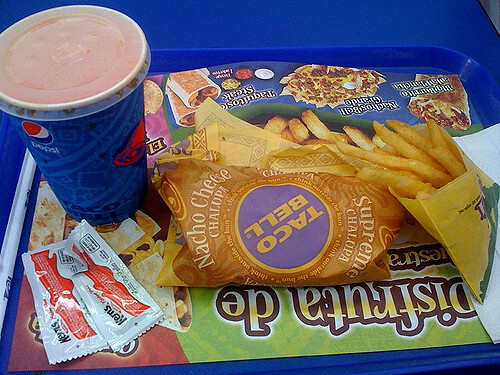 “Taco Bell’s marketing is everywhere, and it’s no surprise they got top spot this year. The main reason for this was not that Chipotle or Moe’s Southwest Grill did poorly, but that Taco Bell has become a stronger brand, and that is what the results of the survey show in terms of familiarity and consideration,” said one survey leader. The image used in this post has some rights reserved.